Wherever Pablo Anon performs he re-educates clubbers and destroys dancefloors. With a complete spectrum of fused genres he builds an unforgettable journey of emotion and sound which is aired weekly on Sydney’s most respected trance station ‘Beatz Radio 99.3’. Pablo's reputation has given him success both on the locally and international stage as a DJ, with recognition from artists such as Kevin Energy, Phil York, Sean Tyas and Gareth Emery. 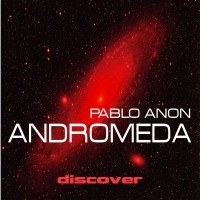 In early 2007 Pablo reached his first peak of his career where he was finally acknowledged by '[email protected]' in Sydney, where he would support acts such as Ferry Corsten, Cosmic Gate and Paul Van Dyke. This success at Sublime opened the opportunity to play as a guest DJ at Sydney most respected radio Trance station Beatz FM 99.3, were he became a co-host, and holds he still holds a regular special guest spot, resulting in recent support of Sebastian & Ernesto, Signature Music Festival in 2010 and regular interstate performances throughout Australia including Home Nightclub (Sydney), Syrup in (Hobart), Unity, Genesis NYE (2013 NYE & Roger Shah), and Digital Therapy (2013 debut). in 2013 Pablo's focus turned international with the 'Anonymous Reflections Tour' beginning in the United States, including WMC 2013 at Global Connection supporting Acts such as Aly & Fila and 2015 in Turkey, Argentina, Mexico City and Columbia for the Critical State World Tour; Pablo's concentration into production has already 5 seen scheduled releases on Critical Sounds Trance Group, Blue Soho, TranceFamily, Enhanced Recordings, Armada and Perfecto Fluro with remixes with Allen & Envy, Mino Safy, Binary Finary; Exclusive Originals and Collaborations with Harmonic Rush.